abodent.com stock a large and varied range of knobs suitable for use on cupboard doors, drawers, wardrobes and most other types of furniture. Our designs are popular for upcycling old furniture, new or revamped kitchen designs, adding character and functionality to new furniture and children’s bedroom projects. With hardware such as knobs, pulls & handles being our largest product range & with it being updated monthly with new designs and colour options, the decor choices are extensive. 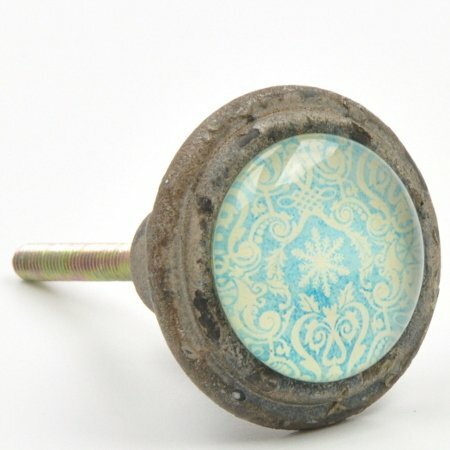 Ceramic door knobs have become our largest range, followed by metal, glass and wooden knobs. The majority of the designs use a rod, nut and washer fitting method, a cupboard knob fitting guide can be found here. We also offer an extensive range wall mounted coat hooks. Designs vary from classic and traditional designs to the creative and unusual. Following the vintage theme of all our products, our decorative coat hook range is ideal for organizing your home while complementing it with some unusual charm and character. Like our cupboard knobs, the coat hooks are available at affordable prices and sold singularly or in sets. Many customers opt for a mixed selection or varied designs, while some take advantage of the colour options we have and get a set of four but in different colours. As it can be difficult to source suitable screws, and as we only sell mounted coat hooks, not over door coat hooks, we try to include matching or suitable screws will all hook purchases. 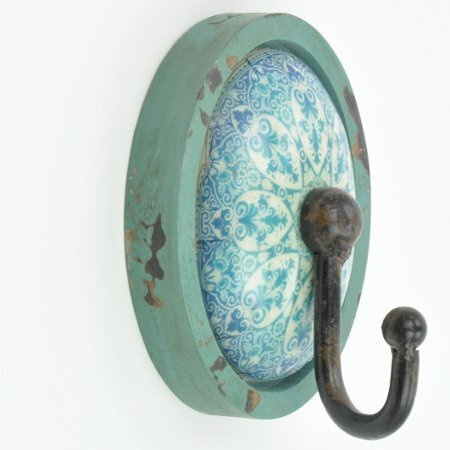 To complement our range of coat hooks we also stock a selection of vintage wall mounted coat racks. Continuing the abodent.com style, the coat rack selection covers both classic and traditional designs with the addition of the hard to find, unusual and creative design we love. All our coat racks are wall mounted by design rather than floor standing, making use of all the free wall space we all have in our homes. 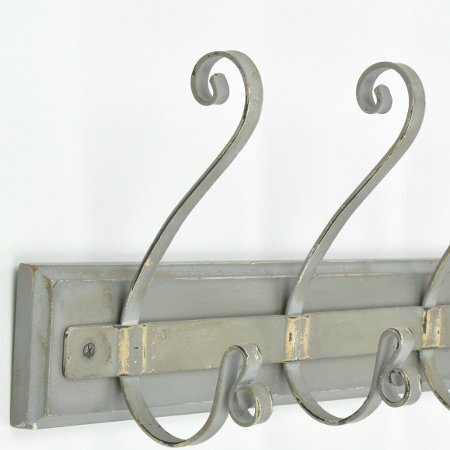 We stock metal and wooden coat racks in varying sizes. Sometimes you need a small rack option to suit closet rooms or tight spaces and other times a longer, larger coat rack with multiple hooks is suitable for places like hallways. Additionally, if even more storage space is needed in a tight space, you might be looking for a coat rack with shelf option. Ceramic has long been one of the most popular material options in the manufacturing cupboard, drawer and door knobs and the traditional production method used to create ceramic knobs lends itself perfectly to the style of abodent.com. It is this ethnic, handmade qualities of these Indian handicraft products that is at the heart of our product range and ceramic door knob designs were we started and grew our business from. There are a number of online suppliers who offer basic ceramic knob designs shipped directly from India but we pride ourselves on offering the more unusual and tasteful designs which we quality control ourselves to a UK standard at affordable prices with cheap international shipping options. Contemporary vintage style decor is what we love and we are pleased to be stocking one of the largest online selections of vintage style hardware, all shipped from the UK. Contemporary vintage is a perfect combination of the vintage charm of antiques and their style partnered with modern materials and refined manufacturing. Restyling a dresser or set of drawers into a contemporary vintage talking point is easily done with a simple change or addition of hardware / draw knobs and if you want to an eclectic look, our vintage drawer knobs could be the ideal place to start. All our knobs work just as well for cupboards, wardrobes and drawers alike and our handles and pulls sections offers cup handles and swing pulls for any other situation. Unlike many other similar online retailers, we stock all items within the UK at our Gloucestershire location rather than shipping internationally from India, allowing us to offer faster and easier delivery, returns and exchanges. 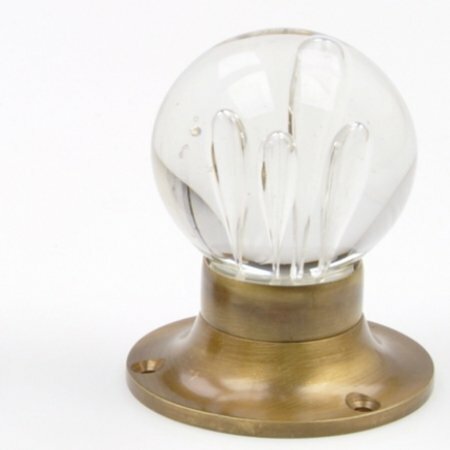 We offer worldwide international shipping options to over 55 countries on all our cupboard door knobs, drawer knobs, coat hooks and coat racks with friendly customer care via live chat, phone and email. abodent.com is a small UK based company and every purchase is personally dealt with and greatly appreciated by the business owner.